Welcome to Flowers Across Sydney! We specialise in the delivery of fresh, made-to-order flowers and flower arrangements throughout all of Sydney, from Sydney City, the CBD and all Sydney’s hospitals, to the inner and outer Sydney suburbs. We began in 2009, when after running a successful brick-and-mortar flower shop for nearly a decade we recognized the need for a traditional florist, but with the conveniences of online shopping. 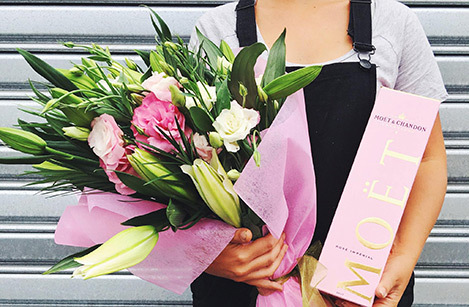 This resulted in the establishment of Flowers Across Melbourne, an online local florist offering quick, convenient flower delivery to the Melbourne area. Over the next few years, we began to notice another need: many of our customers from outside the Melbourne-area wanted our services in their home towns. We agreed, and set up another online store in order to offer the same excellent quality and delivery service to Australia’s largest city: Sydney! Thus Flowers Across Sydney was born. We understand that in order to capture that traditional florist-feel with an online store it’s crucial to uphold the high quality standards and great prices that enabled our growth in the first place. It also means creating the freshest flower bouquets and arrangements, always handcrafted and always made-to-order. We pride ourselves on our obsessive attention to detail and guarantee that whenever you phone or email us you can always speak directly with one of our friendly expert florists. Our team of Sydney florists is excited to put its decades of experience to work for you!